This week, Megan Golden and Joanie Brosas talk about Creation Entertainment’s Star Trek Convention that’s happening in Las Vegas, NV, from August 6-9, 2015. Joanie, a long-time attendee and huge fan of Star Trek, talks about what to expect as far as cosplay, parties, panels, and more. 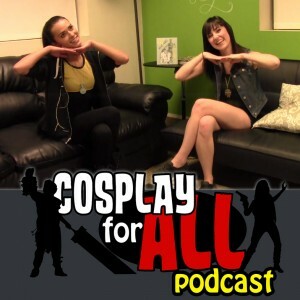 For more episodes, check out CosplayForAll.com. You can watch the entire episode on YouTube here. 0011 Cosplay Spotlight for Sara Thompson. Known for her Ariel, Tinkerbell, Belle and other Disney costumes.